When the German national team kicks off against South Korea today at 4 p.m., Internet experts are expecting the highest percentage of online spectators in Germany experienced to date. 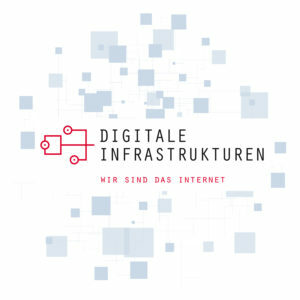 “Many people will be watching from their workplace or whilst out and about with mobile devices – in both cases the Internet is the transmission medium,” says Béla Waldhauser, Spokesperson for the Alliance for the Strengthening of Digital Infrastructures in Germany, initiated by eco –Association of the Internet Industry. “The World Cup viewing really goes to show just how strongly the demands on digital infrastructures in Germany are growing. In order to do justice to this in the future, we now need the right political decisions and investments in the overall ecosystem of digital infrastructures,” adds Waldhauser. Even before the kick-off in Sochi, South Korea is already ahead of Germany in terms of broadband expansion: over 80 percent of all homes (FTTH) or buildings (FTTB) in South Korea are directly connected to the fiber optic network, making South Korea one of the world’s leaders in this area*. “Such fiber optic connections occupy a niche position in Germany, with a market share lying in the low one-digit area,” Waldhauser remarks. This is worrying, as the nationwide expansion of fiber optics is a basic prerequisite for the future expansion of the mobile Internet with 5G technology. “Germany is in danger of falling behind in the medium term. We must not rest on the laurels of our successes of earlier times,” says Waldhauser. The European Court of Auditors has just recently attested to Germany’s gloomy prospects, confirming that they have relied too long on bridge technologies such as vectoring.